Colleen Conners-Pace is a born native of Tahoe. She is the only one of six who still remain in the area because she enjoys taking advantage of all what Tahoe and the Sierra’s seasons have to offer. Colleen is happily married and has a beautiful golden retriever, all of whom love to train and play as much as she does. Colleen has always been active from an Alpine racer in her youth to now an ultra distance endurance athlete. Colleen’s love for endurance events began in the late 70’s. 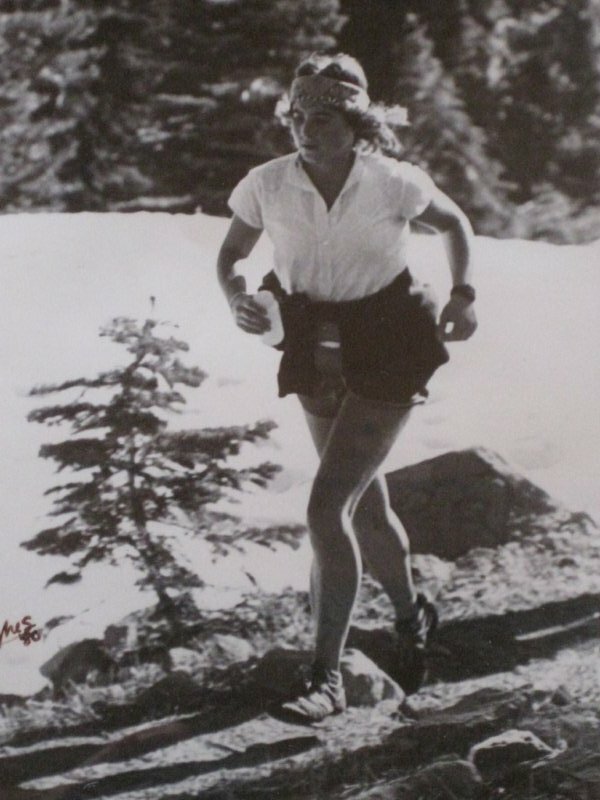 Her claim to fame is running the Western States 100 mile run in under 24 hours, finishing 3rd overall woman garnishing the coveted silver belt buckle. Last June thirty-three years later, Colleen returned to the WS 100 completing 78 miles, further than she expected with having knee surgery 3 months prior. Throughout the years Colleen has competed in many ultra running races and triathlons. Colleen participated in the 2009 Ironman Hawaii World Championships. A dream come true, finishing 19th in her age group in a time of 13:10. Colleen received her Masters of Arts degree in Exercise Physiology in 1997. She currently works at Sierra Internal Medicine, Incline Village, and in the Cardiac Rehabilitation Dept at Tahoe Forest Hospital. Colleen started up her own sports performance business, Tahoe Peak Endurance, LLC, offering sports performance testing, coaching, consulting, training and Primal Fit, an outdoor exercise class. Colleen enjoys working with a variety of folks, from those who have suffered major heart attacks to those that aspire to be more fit or a better athlete, educating all who pass in her path on how they can improve their wellness, health, fitness, and performance. Colleen is certified as a Level 1 USA Triathlon Coach; USAT Race Director; CycleOps Power Coach, ACSM Health Fitness Specialist, EMT and is a member of Tahoe Nordic Search and Rescue.